WASHINGTON -- Facing an unprecedented daylong shutdown of the Washington area's Metro subway system for a safety inspection, hundreds of thousands of commuters in the nation's capital were forced to turn to Plan B on Wednesday. While some took advantage of the federal government's option for employees to take the day off or telecommute, other workers woke up early, hopped on buses and pricey taxis, drove in gridlock, or planned long walks home without mass transit. Michaun Jordan, 51, usually takes a commuter train, then Metro rail lines and a bus to get to her job as a finance officer for the federal government. But on Wednesday, she took a $15 taxi after her train, then waited at Rosslyn station in Virginia for a bus. "At first I was a bit disappointed. Then I thought about it - it's best to be safe," she said. The nation's second-busiest transit system was shut down at midnight Tuesday for a system-wide safety inspection of its third-rail power cables, prompted by a series of electrical fires. It will reopen at 5 a.m. Thursday unless inspectors find an immediate threat to passenger safety, which the system's general manager said was unlikely. Ridership on Metro has dipped as the system's reliability has deteriorated, and gripes on social media occur daily. 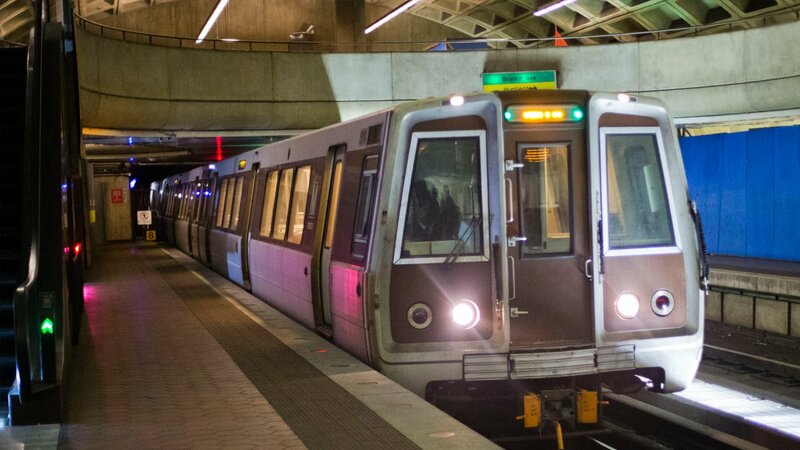 Still, riders take more than 700,000 trips on Metro trains every day because it's still the best way to get downtown from Maryland, Virginia and the city's outer neighborhoods. On Wednesday, they didn't have that option. "It's always slow, always crowded," Bob Jones, 26, of Arlington, Virginia, said of Metro. But on Wednesday, as he waited for his normal bus to work but planned a walk of more than an hour home without his usual option of the subway, he said he wasn't too upset with the decision to close. "Better that than, like, a fiery inferno," he said. Roads were even busier than usual during rush hour. District Department of Transportation Deputy Director Greer Gillis said she was seeing heavier-than-normal volume, particularly traffic coming from Maryland. She expects more traffic and a longer-than-usual rush hour, but traffic was still flowing. Traffic control officers were ready to respond to problems, Gills said, and crossing guards will be available to help pedestrians. Construction activity is suspended during morning and evening rush hours, said. The DC Circulator bus service is offering additional service on three routes; its buses are free to reduce boarding delays. Despite the announcement Tuesday, not all riders had gotten the message that the system would close. At Metro's Rosslyn station in Virginia, just over the Potomac River from Washington, Derya Demirci, 27, looked disbelievingly at a sign announcing the shutdown. She had hoped to take her normal train to her childcare job. "I don't know what to do," she said. She settled on taking a picture of the sign ("Your safety is our highest priority," it read in part) and asked her husband to drive her to work. A federal shutdown usually makes driving into the city much easier - but that's with the Metro running. Officials were bracing for a difficult morning on the city's already traffic-choked streets, and many commuters said they would have no choice but to stay home.